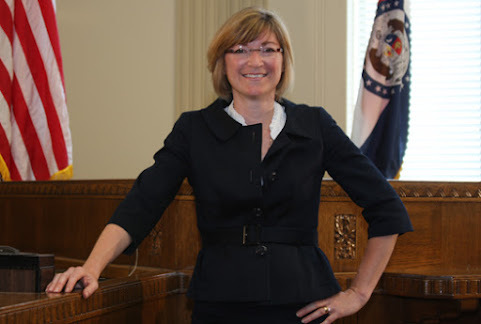 Tony's Kansas City: CAN JACKSON COUNTY PROSECUTOR MEAN JEAN PETERS BAKER SAVE FADING KANSAS CITY DEMOCRACY TODAY?!?! CAN JACKSON COUNTY PROSECUTOR MEAN JEAN PETERS BAKER SAVE FADING KANSAS CITY DEMOCRACY TODAY?!?! Presser copy from the Courthouse that was strangely scrubbed from it's website but hopefully still applies since we all know the low turnout GO Bond vote was rigged along with most of the streetcar mail scams. The Jackson County Prosecutor’s Office said it will monitor polls in Tuesday’s election for any voter irregularities. The office said “irregularities” can include potential voter fraud, and abuses of voter rights. Abuses of voter rights could include acts or threats of violence while trying to prevent someone from voting, giving a voter false information to prevent them from going to the polls, bribing a voter for a specific candidate or issue, or interfering (or attempting to interfere) with a voter inside a polling place. Sure, it's a non partisan election but it's very dangerous to have a Missouri Democratic Party leader promising to monitor the vote. May be a conflict. I encourage Republicans to take a look at her statements. Shouldn’t Jean Petersucker Baker be putting a similar effort into prosecuting murderers? And yet she doesn’t. Weird. She is one the reasons crime is out of control in Jackson County. Has she prosecuted the criminals that killed people in Woodbridge and the Trails in South Kansas City? In short that means they will do even less than they do the other 364 days of the year. Sounds kind of like the fox watching the hen house.